Review: Tyondai Braxton, 'HIVE1' What sets the Battles mastermind's new album apart is its playfulness — the feeling that experimenting with sound is a joyful game rather than an academic exercise. 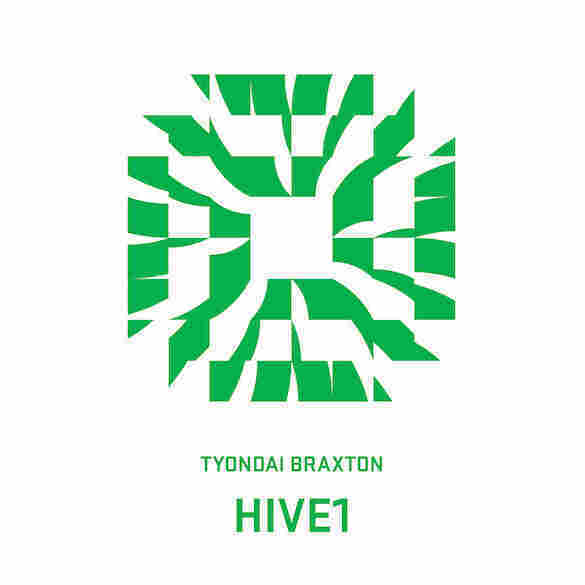 Wrapping your head around Tyondai Braxton's HIVE1 is like trying to catch a fly with your hands: It feels as if you could just reach out and grab it, but every time you lunge, it darts away. Braxton's busy electronic sounds are engaging, but his arrangements are consistently unpredictable. He traces quick patterns only to veer sideways, bent on coloring outside the lines he's drawn. The instrumental music on HIVE1 grew out of an installation-based performance piece Braxton introduced at the Guggenheim Museum in 2013. But it plays less like a soundtrack than a collection of sound effects concocted by a mad scientist. At times, it's as if Braxton broke into the Warner Bros. cartoon library and played around like a kid in a toy store. New sounds continually spark like fireworks inside HIVE1's shifting, stereo-spanning mix, which is especially intoxicating through headphones. Percussive slaps, noisy bursts, whirring rattles and all sorts of knocks, pings and boings bounce around freely. It's not complete chaos — many tracks have somewhat straightforward beats — but the music rarely settles into a groove. Something is always changing, growing, flipping; if it's not the skeleton of a tune, then it's the sonic skin Braxton stretches around it. During the croaking "K2," he even drowns everything in huge waves of static, curious to see what will be left when the tide subsides. All this churning activity makes HIVE1 sound like dance music distorted into abstract shapes. In that sense, it's a departure from Braxton's last solo album, 2010's orchestral Central Market, as well as the kinetic rock music he made in Battles. But what sets this album apart is its playfulness — the feeling that experimenting with sound is a joyful game rather than an academic exercise. HIVE1 might not always make sense, but that's what makes it so fun.